It is made of medical grade silicone with a seamless, ridgless design that may be more comfortable and easier to clean for some women while others find it makes it harder to insert or remove. The flat stem makes it different from other cups which have a round or hollow stem. 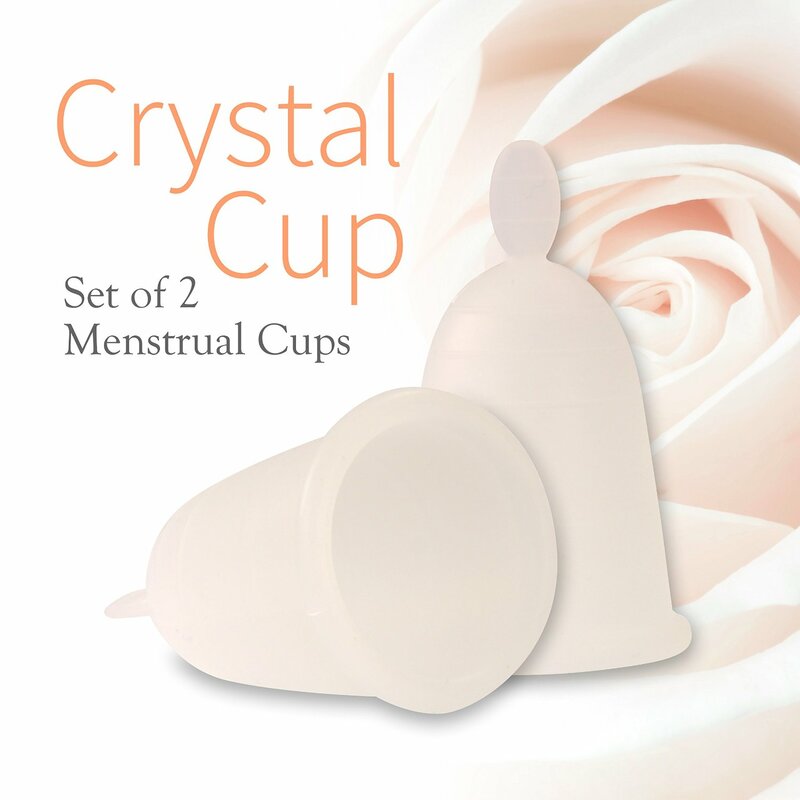 Another off-brand menstrual cup, the Crystal Cup is cheaper than most other menstrual cups on the market. The cost of this cup makes it an accessible way to try out menstrual cups.